The Friends of Llanfrechfa Grange Walled garden (FoLGWG) is now a registered charity and we are continuing to actively recruiting members and create other ways to formally involve people who would like to support us in the regeneration and maintenance of the garden. We hope that all our supporters will enjoy accessing the garden, watching it grow and develop, and will benefit socially, physically and emotionally from their role in its regeneration and maintenance. 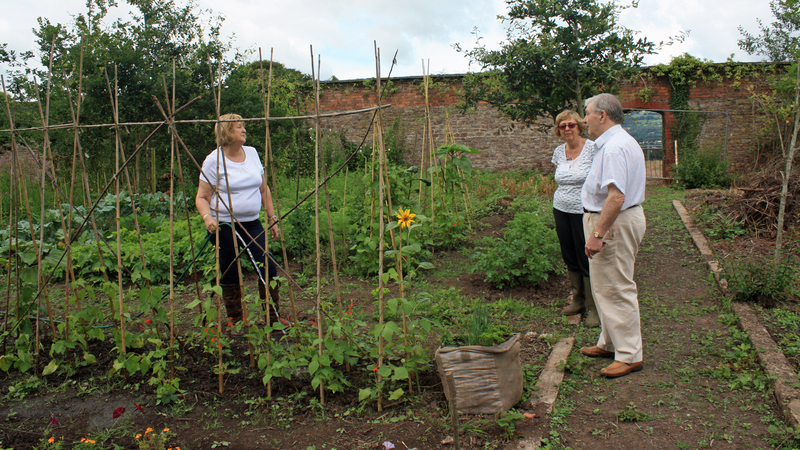 Associate membership is open to anyone over the age of 18 who has an interest in the aims of the Friends of Llanfrechfa Grange Walled Garden. Annual fee of £4 due 1st January each year regardless of joining date. Renewals unpaid by 31st January will be deemed to have expired. Fees will contribute to the ongoing development and maintenance of the garden for the benefit of the community and eventually patients, staff and visitors at the new hospital. Associate members are requested to volunteer on at least two occasions per year, either for general maintenance work in the garden or for less strenuous activities such as assisting at events, helping with newsletters etc. Members are also expected to abide by the safety instructions and principles applicable to volunteers. The Annual General Meeting, other open business meetings, and social events and meetings are all open to our Associate members. Associate members are eligible to stand for election as Trustees at the AGM, and also other groups involved in the running of the garden as these are developed. Please send your completed membership application form and fee to: Ms B. Wilson, Membership Secretary, Llanfrechfa Grange Walled Garden, Grange House, Llanfrechfa Grange, Cwmbran, NP44 8YN. Anyone over the age of 18 and able to work independently in the garden can volunteer to work sessions under the guidance of a session supervisor. Volunteers must register initially with the volunteering secretary, and provide full contact details including a contact in case of emergency. Please go to our Volunteering page for further information including an application form. Financial donations are always welcome, and we may be able to accept these through ‘Gift Aid’. We will be putting together a list of items required as the detailed planning for the garden progresses. Donors will be recorded, and invited to an annual ‘thank you’ celebration and offered an acknowledgement on our ‘Wall of Thanks’ page on this website. Please note it may not be possible to acknowledge individual gifts within the garden itself. This is for individuals with an interest who would like to keep in touch, but do not necessarily wish to become a member, volunteer or donate. They will receive quarterly newsletters and invitations to selected events by email.